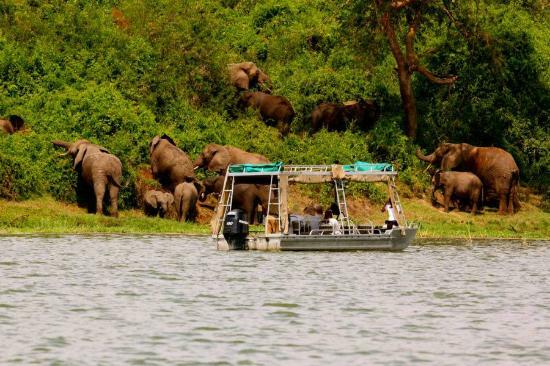 8 Days Rwanda Congo Uganda Highlight Safari is one of the best inter country short safaris that pick the main highlights of the visited destinations. The Safari starts in Kigali Rwanda and ends in Kampala Uganda taking you to magical sites including; Rwanda’s Volcanoes National Park for Mountain Gorilla Trekking, Congo’s Virunga National Park for Nyiragongo Volcano Climbing, Uganda’s Queen Elizabeth National Park and Lake Mburo National Park for wild game viewing & optional Chimpanzee trekking not forgetting exploring the city landscapes including the historical tour to Gisozi genocide memorial in Kigali. Following breakfast, undertake a historical tour to the Gisozi genocide memorial paying respects to the Rwandese (Tutsis and moderate Hutus) that lost their lives in the 1994 genocide. The building houses a range of body remains, the series of writings and audio presentations detailing the cause and effect of the tragic ethnic conflict that befell destination Rwanda. From the tour, you settle for lunch after which you drive to Volcanoes National Park 116km around 2 – 3 hours’ drive enjoying the views of the Rwandan hill sides. Mountain Gorilla Trekking commences with briefing at 8am but an earlier arrival allows one to enjoy the magical performance of Rwandan traditional dancers – the Intore while drinking a cup of hot Rwandan coffee. 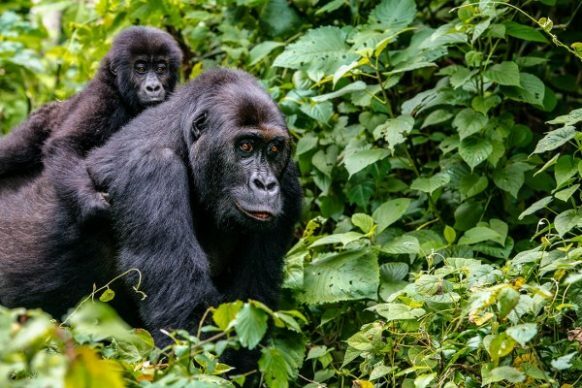 From the briefing, you connect to the trail head and embark on the hike through the gorilla highlands in search of these critically endangered apes. 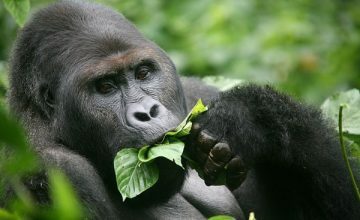 You traverse the steep slopes, dense jungle and rough surfaces before approaching them as they forage and socialise. The direct viewing is limited to one hour for conservation purposes while the whole tracking duration is unpredictable but can range from 2 – 8 hours. Retreat from the activity and transfer to Lake Kivu Gisenyi area 110km around 2 hours’ drive for afternoon beach recreation experience. Connect to Goma very early in the morning before gathering at Kibati Patrol post to embark on the Nyiragongo Volcano Climbing commencing at 9am. 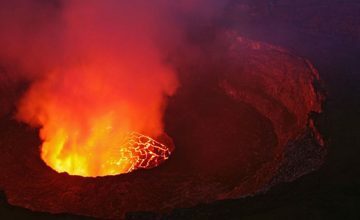 Nyiragongo is one of the eight (8) Virunga Volcanoes and is gifted with the world’s largest lava lake that is also most violent on the similar scale. The Nyiragongo Trek offers remarkable views of the surroundings and lasts 4 – 6 hours to reach the summit 3470m. The overnight in the Mountain Shelter is available and night view of the lava lake is very amazing. You descend down the Volcano enjoying the panoramic views of Lake Kivu, Goma and Gisenyi towns and the lush equatorial jungle of Democratic Republic of Congo which is only second to Amazon on world scale. Connect back to Kibati Patrol Post and get into your vehicle to drive to Lake Bunyonyi Uganda crossing at Chanica border. You are welcomed by the fascinating Kigezi Highlands before settling at Lake Bunyonyi for relaxation and overnight. Following breakfast, connect to Queen Elizabeth National Park 289km about 8hours drive with an en route Ishasha sector game drive in quest for the tree climbing lions. 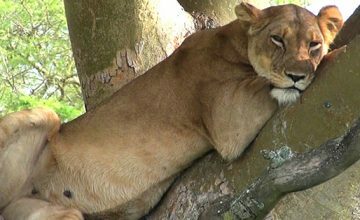 The lions in this part of the world tend to climb trees in the mid morning sun and a drive through the area offers their likely views as they rest on the branches of the fig trees. The sights of other wild game like Elephants, Deffasa Water bucks, Topis and Uganda Kobs among others may not be missed. Proceed to the northern sector of the park for relaxation and overnight. 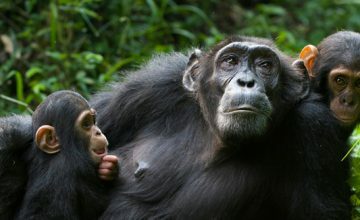 Following breakfast, you set off on the drive to Lake Mburo National Park 180km about 3 hours drive exploring the impressive views of the countryside landscapes including the Bunyaruguru explosion crater and Kalinzu forest Reserve where you can make an optional Chimpanzee trekking encounter. Traditional lunch stop is made at Igongo Cultural Centre 12km past Mbarara town after which you proceed to Lake Mburo National Park entering through Sanga gate and do an afternoon game drive gaining likely possibilities of exploring Impala, Burchell’s Zebra, Warthogs, the water bucks, the Rothschild giraffes, the Topis among others. Do a walking safari from Rwonyo Centre commencing at 7am in the company of an armed ranger guide. This presents the opportunity to explore the wild game on foot and the likely sights include; Elands, Rothschild giraffes, Burchell’s Zebra, Warthogs, Impala, Topis and water bucks among others. Retire from the 2 hour activity and connect on the drive to Kampala 240km about 3 – 4 hours drive.